We were in the field for most of September and early October. 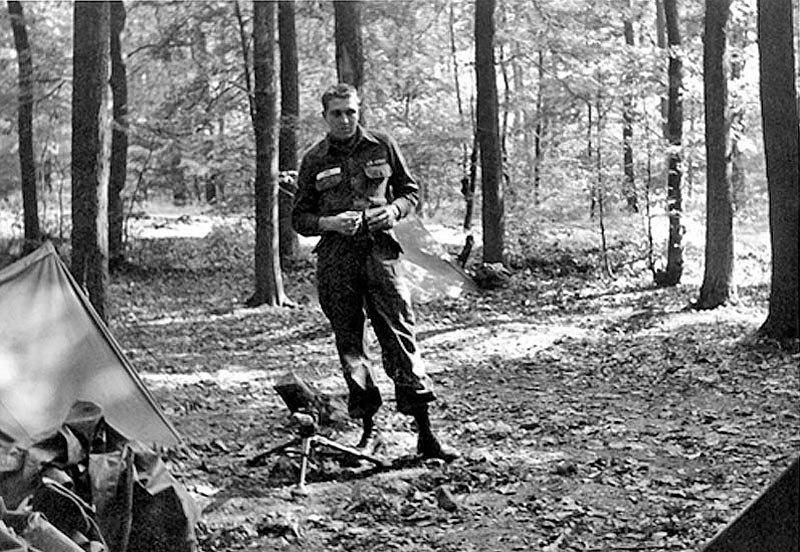 I shared the pup tent with SP4 Reed Moon. Note the 30 calibre machine gun at my feet. Reed and I were the Firing Section's machine gun crew at the time.